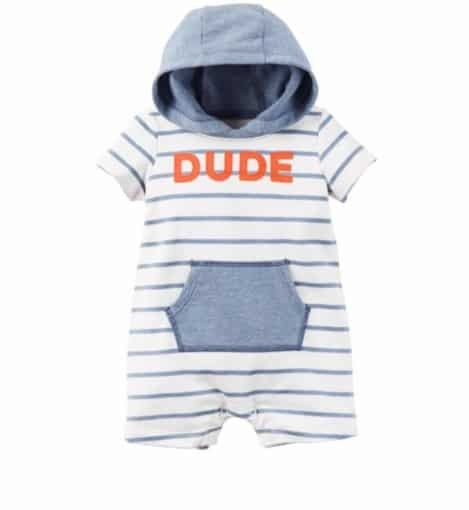 Made from a soft, 100% cotton material, your little one will be the snazziest dresser on his big day. 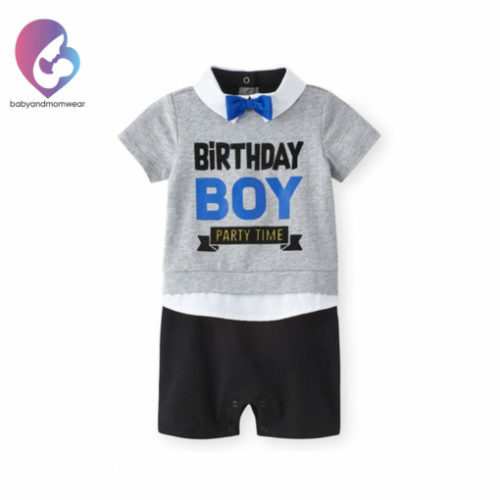 The screen print design and fancy bowtie are sure to make him the life of the party. 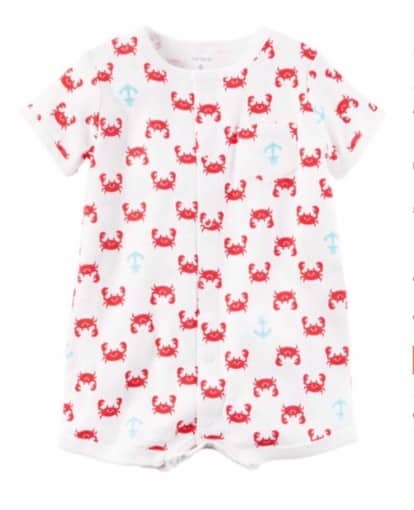 Place your order for one of our fun rompers today and get ready to watch him strut his stuff. 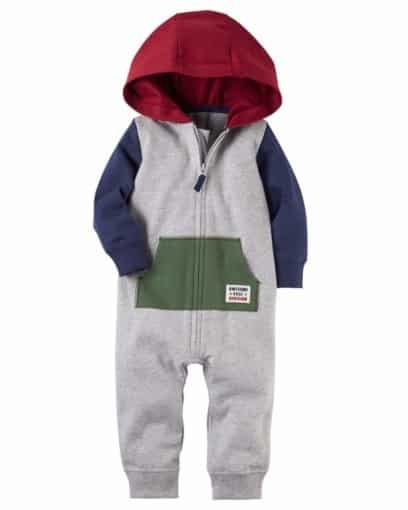 We know you’ll love this look as much as we do. 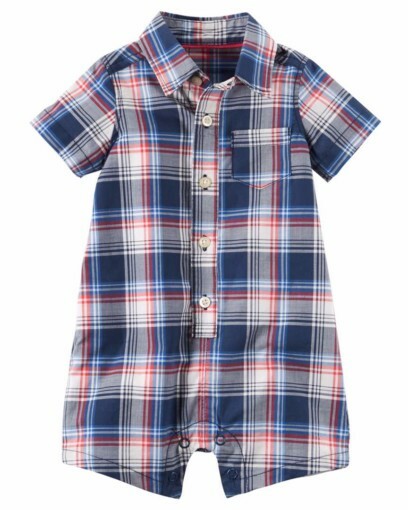 Designed with star spangled style, this easy-to-wear plaid romper was made for fun on the fourth! 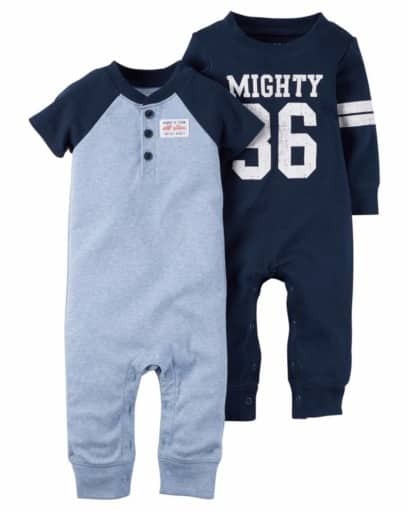 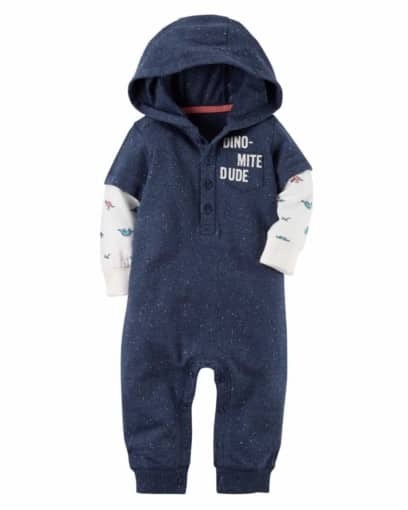 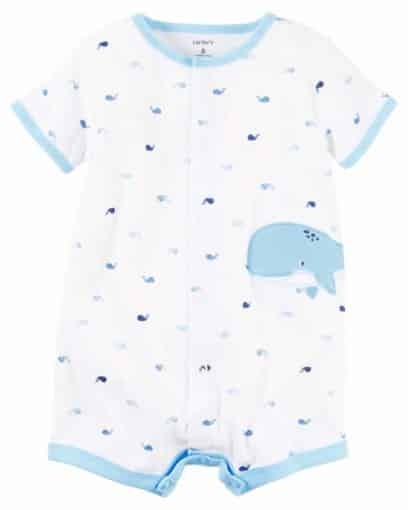 So comfy for your baby boy, this French terry romper is a go-to 1-piece outfit for easy dressing and quick changes. 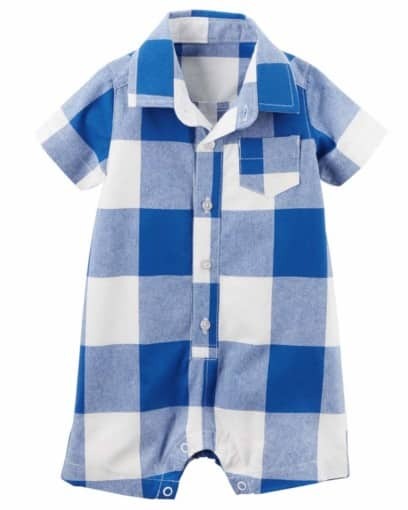 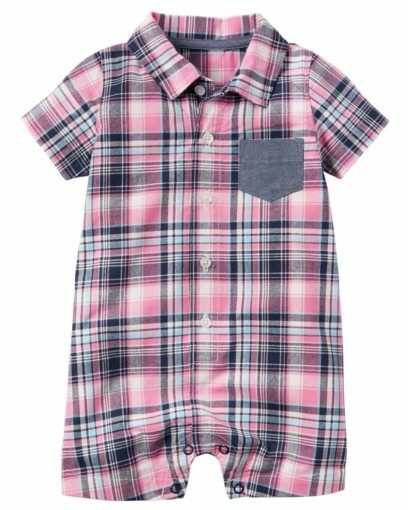 Featuring a buffalo check design, this handsome romper gets him dressed in a snap!